Apple is well known for its water-tight policies regarding the kinds of apps permitted to grace its famed App Store, and with this in mind, it should come as no surprise that anybody attempting to release a BitTorrent client for iOS is resigned squarely to Cydia and the jailbreaking community. Nevertheless, with many thousands having jailbroken their iOS 7 iPhones and iPads through Evasi0n, running a native BT client becomes a real possibility, for those into this particular medium of file-sharing, the newly revamped iTransmission 4 jailbreak app touts itself as an easy way to manage torrents on-the-fly. Of course, there are numerous remote apps and Web-based services allowing you to control your BitTorrent files while using your iOS device, but native apps are, for reasons aforementioned, something of a rarity. The Google Play Store is awash with numerous different clients for torrenters to try out, but unless you’re planning on going ahead and making the switch to Android, iTransmission 4 is about the only option right now for those on iOS 7.
iTransmission has been around for a long time and served BitTorrent users through many jailbreaks. This latest edition has been tweaked quite a bit, with many more configuration options helping the app to run with better fluidity. As well as an increase in the number of settings, iTransmission 4 also includes support for the 64-bit architecture of the iPhone 5s and iPad Air, so a smoother experience should be expected on both devices. As with almost every other updated-for-iOS 7 release over the past few months, iTransmission’s user interface has been updated to better suit the new look that Jony Ive and his design team have explored, and as you might expect of an iOS 7-ified iTransmission UI, it’s extremely minimal. Then again, a torrent client needn’t be too heavy on aesthetics, as the BitTorrent company learned when it threw out the ultra-lightweight uTorrent a few years back. 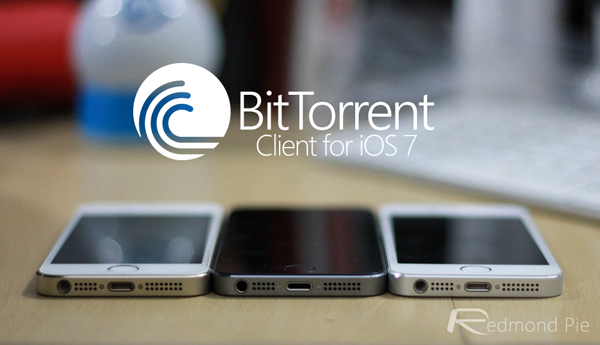 Unfortunately, iTransmission is quite a way off competing with the torrent scene’s most popular client, but if you’ve been looking for a way to run your torrents on your iPhone, iPad or iPod touch, then give iTransmission a try. After all, it is free of charge, and can be picked up right now from the BigBoss repo.